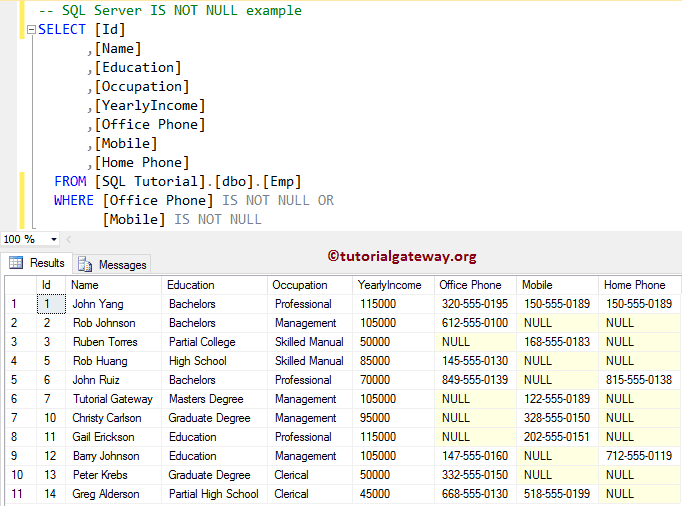 The SQL IS NOT NULL is used to find whether the specified expression is NULL or not, and if it is not NULL then TRUE will be returned, otherwise it returns FALSE. 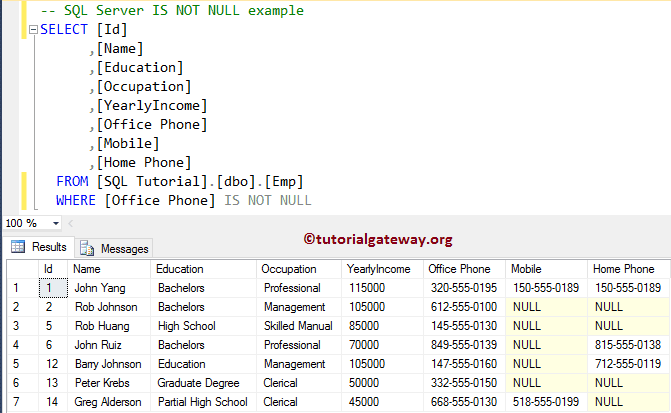 This example will show you, How to write IS NOT NULL. 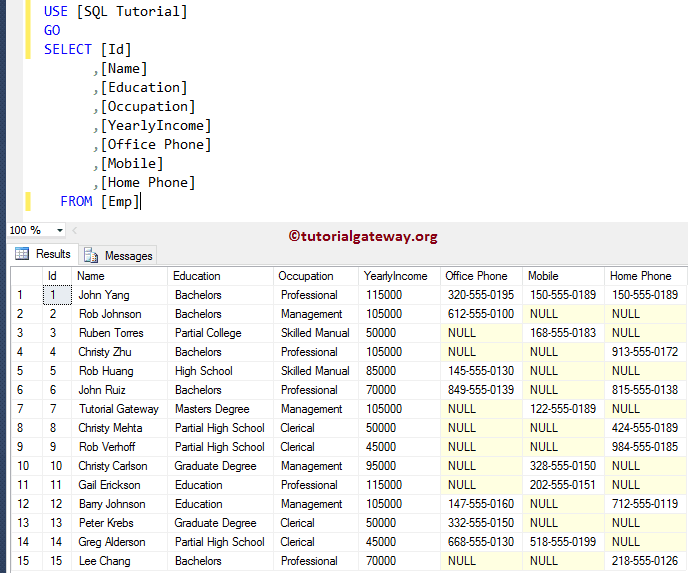 To demonstrate this, We are using the [Emp] table present in our [SQL Tutorial] Database. Below screenshot will show you the data inside the Emp table.